ARTICULATION AND FRAME OSCILLATION: Our wheel loaders are most often operated in heavy terrain and we include the features for top performance. 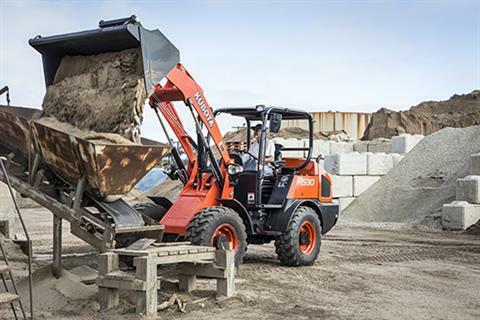 Articulation allows the rear tires to follow the same track path as the front tires for greater maneuverability and control of the loader. Rear frame oscillation is intentionally chosen over rear axle oscillation for superior workability in uneven ground conditions. MULTI-FUNCTION CONTROL LEVER: You’ll get more work done in less time with the R530’s multifunction operating lever. All major loader functions—Speed Up/Down, Forward / Reverse, Neutral, and Differential Lock— are on a single lever that is easy to operate with just one hand. The 2-step Speed Up/Down buttons let you quickly change speeds and work at the optimum speed for the task at hand. DIFFERENTIAL LOCK: 100% On-Demand, Front and Rear - Kubota’s 4-wheel drive lets you out-muscle challenging terrain, such as mud, sand, and snow. When loose or soft terrain causes the wheels to lose grip, depress the conveniently located differential lock switch to restore traction. WET DISK BRAKES: The wet disk brake system prevents mud and water contamination and ensures stable brake performance and long reliability. The adoption of independent friction plates on the service brakes and the parking brakes provides reliability and durability in tough operating conditions. PARKING BRAKE: The electrically activated mechanical parking brake can be applied or released simply by pressing the switch. It prevents the machine from moving until you give the command. INCHING AND BRAKE PEDAL: The R530 achieves the best feeling of inching operation in this class. The smooth, fine inching control and fast acceleration contributes to excellent efficiency when using the V-shift turn for truck loading operations. A right side inching pedal is available as an option. CONTROL LEVER LOCKS The loader and auxiliary hydraulics levers are equipped with safety lookouts as standard equipment to prevent inadvertent lever movement. 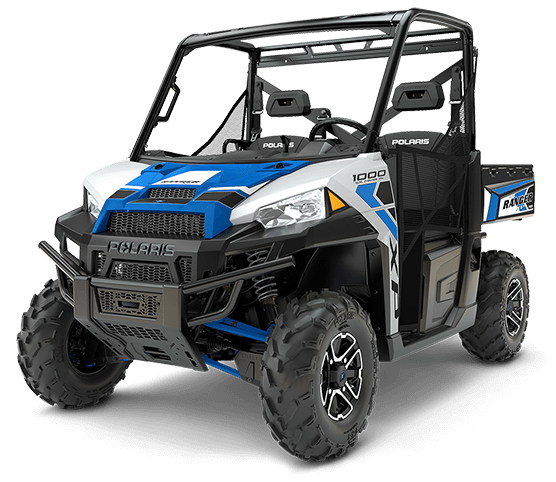 AUXILIARY PORTS: Conveniently located on the rear of the attachment quick coupler, flat face, no drip couplers provide easy access to power your hydraulic attachments. Auxiliary ports are plumbed separately from hydraulic quick coupler plumbing. HYDRAULIC QUICK COUPLER: Quickly and conveniently exchange attachments to satisfy the needs of most any job. 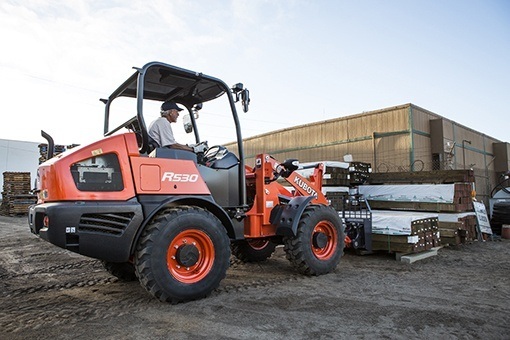 Choose between hydraulic skid steer style (shown) or hook and pin style couplers to speed you on your way. Control plumbing is standard on all models. QUICK COUPLER ATTACHMENT UNLOCK SWITCH: Save time and money exchanging attachments without leaving the seat. The attachment unlock switch safely speeds your way through attachment exchanges with the flick of a switch and the push of a lever. CAB WITH AIR CONDITIONING: Your job is tough enough-your cab environment shouldn’t be. We focused our efforts on creating a cab that maintains your peak performance all day long. The result? A factory cab that offers a clear field of view, a fully adjustable suspension seat, air conditioning and heat, low sound, minimal vibration, and more. ISO MOUNTED CANOPY / CAB: Comfortable operators are so much more productive at the end of the day. R530 operator exposure to noise and vibration is reduced by isolating the cab from the machine frame using isolation mounts. STRONG AIR CIRCULATION: The overall air circulation in the cab has been improved, thanks to a stronger cooling/heating unit and the positioning of vents all around the operator to offer better all-round comfort. 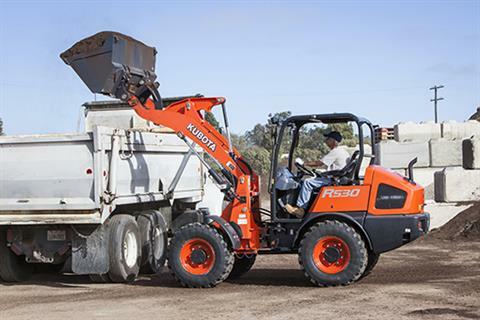 FULL FEATURED SUSPENSION SEAT: A full size suspension seat enhances operator comfort. The padded seat features fore and aft positioning, weight compensation, height adjustment, adjustable head rest, tilt back, and a left side arm rest for optimum comfort. MODERN DIGITAL DISPLAY: Bright and easy-to-read, the digital instrument panel tells you at a glance everything you need to know about the machine’s functions and conditions. DIGITAL DIAGNOSTIC INDICATORS: A full set of diagnostic indicators automatically monitor critical machine conditions, letting you concentrate on the job at hand. TILT STEERING: With the flick of a lever, the steering wheel can be tilted up or down to the most comfortable and efficient position for drivers of all sizes. ROUNDED GLASS: Rounded glass on the top and corners, plus a sloped engine cover, reduce noise levels and provide good visibility for operators in all directions. 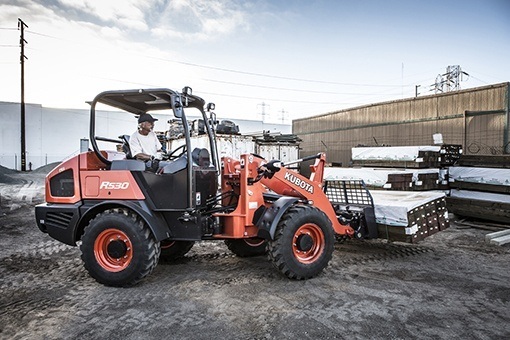 ROPS / FOPS CERTIFIED CANOPY / CAB: Forged and attached at the Kubota factory, both the Roll-Over Protective Structure (ROPS) and Falling Object Protective Structure (FOPS) meet the applicable ISO, SAE and OSHA standards. TRANSPORTATION TIE DOWNS: With an overall height below 98 in., the R530 slips easily under road bridges when transporting between job sites. Six tie-down points and an articulation lock allow simple attachment to a trailer for secure transportation. 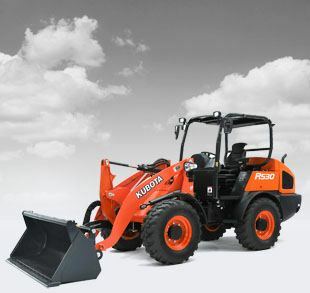 KUBOTA ORIGINAL TIER 4 FINAL ENGINE: The R530 is powered by a robust 47.9 HP diesel engine. 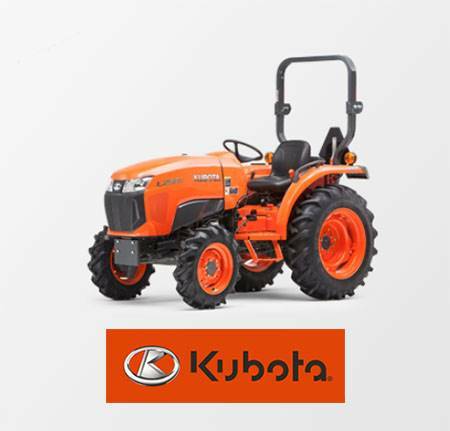 Built by Kubota, this reliable engine features low noise, low vibration, and low fuel consumption. 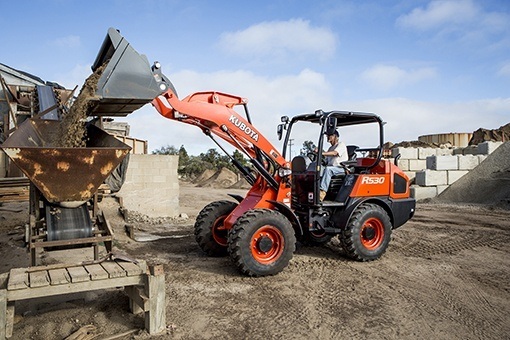 Many of our competitors do not build their own wheel loaders nor use their own engines. COMMON RAIL FUEL SYSTEM: The Common Rail System electronically controls the fuel injection timing and amount in stages rather than all at once for optimal combustion. The results are great efficiency, better fuel economy and less engine noise. Its combination with the Exhaust Gas Recirculation (EGR) and Diesel Particulate Filter (DPF) Muffler reduces emissions to make the R530 Tier IV Final compliant. FUEL FILL PORT, REFUELING ASSISTANT: The R530 locking cap is conveniently located at hip level and easy to access, even when trailer mounted. When refueling, simply press the refueling signal button located next to the fuel fill port. To monitor the progress, the beeping signal accelerates as the fuel approaches full – thus avoiding spillage. 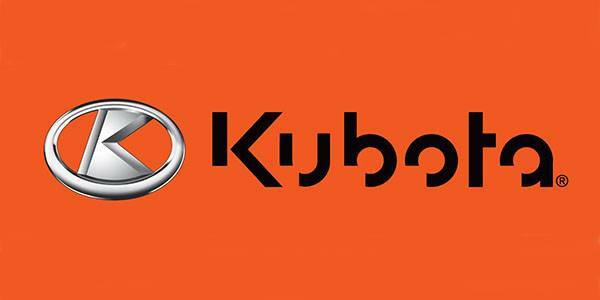 AUTOMATIC REGENERATION: Kubota’s original automatic regeneration system automatically burns accumulated particulate matter (soot) in the DPF muffler to keep it clean. For operational reasons regeneration can be turned off and manually accomplished at a more appropriate time. EASY TO SERVICE: Servicing the Kubota R530 is a snap, helping to reduce downtime and letting you get back to work as quickly as possible. The engine bonnet at the rear opens wide, providing quick and easy access to the machine’s main service areas. RIGHT SIDE ACCESS PANEL: Conveniently located behind a locking panel, the right side access panel provides ground level access to electrical components for inspection.